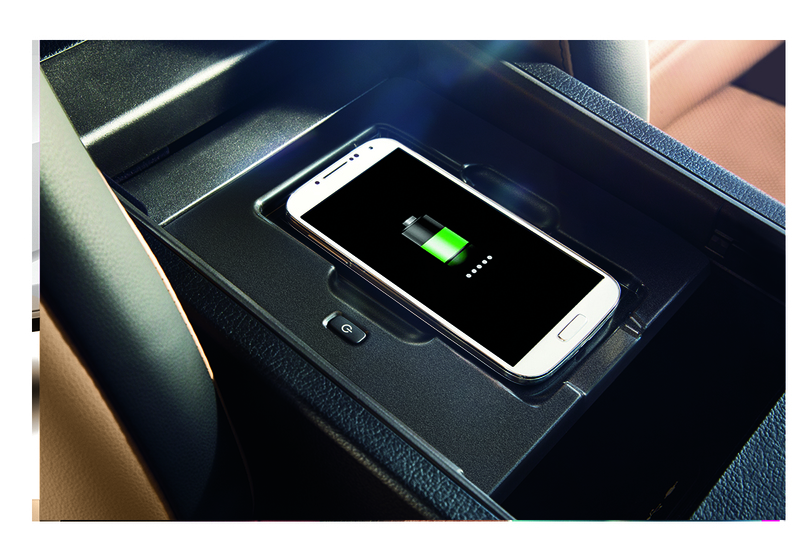 Qi (pronounced “chee”) gives Lexus NX owners wireless charging capability! Leave your wires at home since you can now charge your phones, iPods, MP3 players and more by simply placing your device on a special tray inside your NX’s center console. Several new cell phones come with Qi-charging capability already embedded in the phone’s hardware including the LG Google Nexus 4 & 5, Motorola Droid Maxx and Nokia Lumia 920, 925, 928 and 1520 series and others just need a special sleeve added for this new technology to work. New sleeves often enter the market so if your phone isn’t compatible today, it may be in the near future! The Lexus Qi wireless charging tray measures 5.7 inches by 3.1 inches and the device to be charged has to lay flat on the charging tray in order for it to properly operate. Based on market trends in the size and configuration of phones, the scale of the Qi trays in future Lexus vehicles will likely evolve to offer even greater compatibility. Want to check if your phone is Qi- ready? Your phone not listed? Contact us to find out if your phone is Qi-compatible. The Lexus F Sport Trunk Show at North Park Lexus at Dominion!